A recent incident in Nambia, South Africa involving a guy saving a baby dolphin from certain death has restored my faith in humanity. We all love dolphins. Dolphins are marvelous creatures. They are adorable, intelligent , friendly and the bond they can form with us humans is incredible. 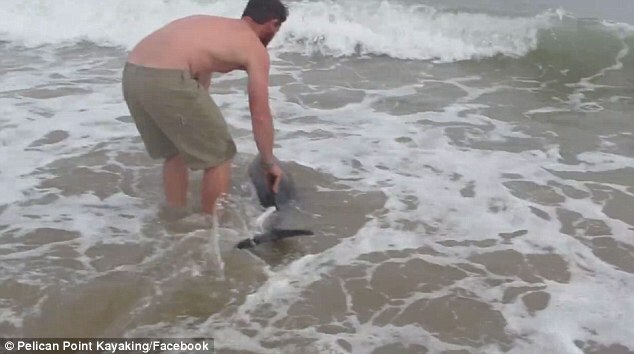 Recently , a Kayaker saved a baby dolphin who was stranded on the beach . It was the dolphin’s lucky day as if it hadn’t for him , the poor baby dolphin would have probably been unnoticed by passerby’s until his death. The Kayaker , Naude Dreyer was just driving along the beach when he came to stumble upon the dolphin and sent him back to the sea. 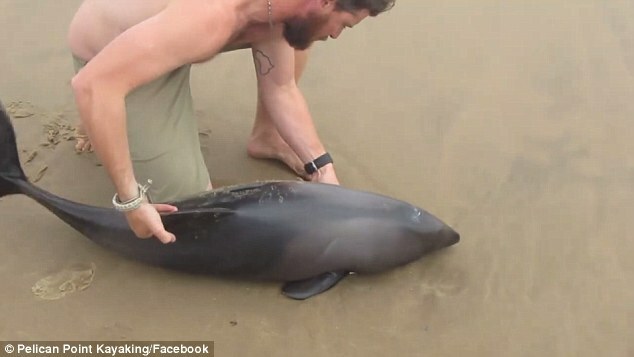 He saw something moving in the sand and upon coming closer, he realized that it was in fact a baby dolphin . He immediately acted upon his instinct and carried the baby dolphin in his arms and then into the ocean. The baby dolphin even said it’s goodbye and expressed gratitude for his kind deed by waving its tail . ” He was moving a bit and I immediately realized that he was alive . I was just doing the right thing . I couldn’t just leave him there ,” said the noble fellow when asked about this incident. 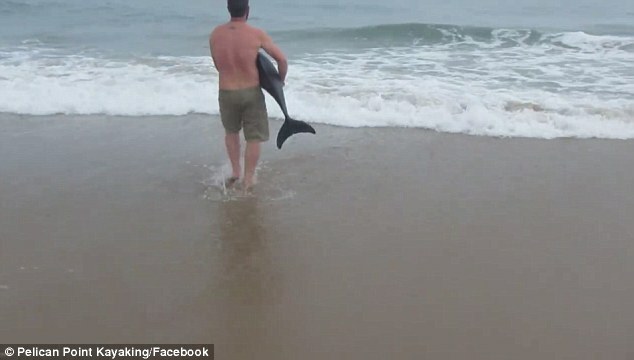 Not only did he carry the dolphin to his safe place , but also made sure that he was out of danger by returning to the same spot to make sure he has not returned again. 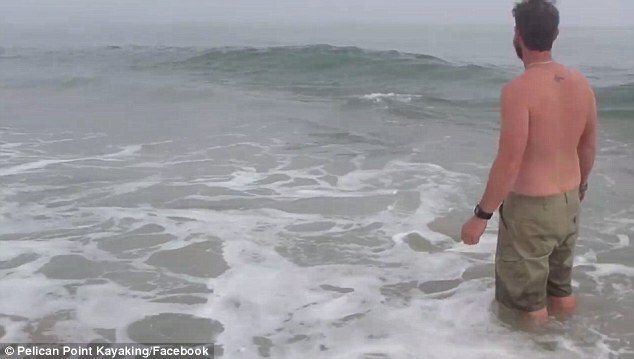 Recently in January , we saw news of heartless people taking selfies with a sperm-whale who had died on a beach shore .